Aimee Miller is Chief Marketing Officer for AppFolio. Aimee leads the marketing strategy and programs that drive awareness, demand and customer engagement for AppFolio. Aimee joined the AppFolio team in 2009 as the Vice President of Marketing for AppFolio. Prior to AppFolio, she was the Sr. Director of Field Marketing at Citrix Online (merged with LogMeIn, Inc.), leading the planning and implementation of all corporate demand generation activities for the global sales organization. At Citrix Online, she also served as Director of Key Account Management, where she created the customized marketing and management program for strategic customers. 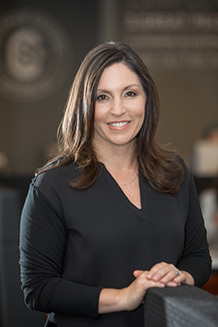 Previously, Aimee also held marketing and product management roles at Digital Island (purchased by Cable and Wireless) throughout the company's high-growth years. Aimee received a B.S. in Psychology from the University of California, Berkeley. She is a California native and enjoys spending time outside in the beautiful Santa Barbara climate.